Read what it says about us..
There’s an ancient street in the historic centre of Naples where Christmas preparations never stop. 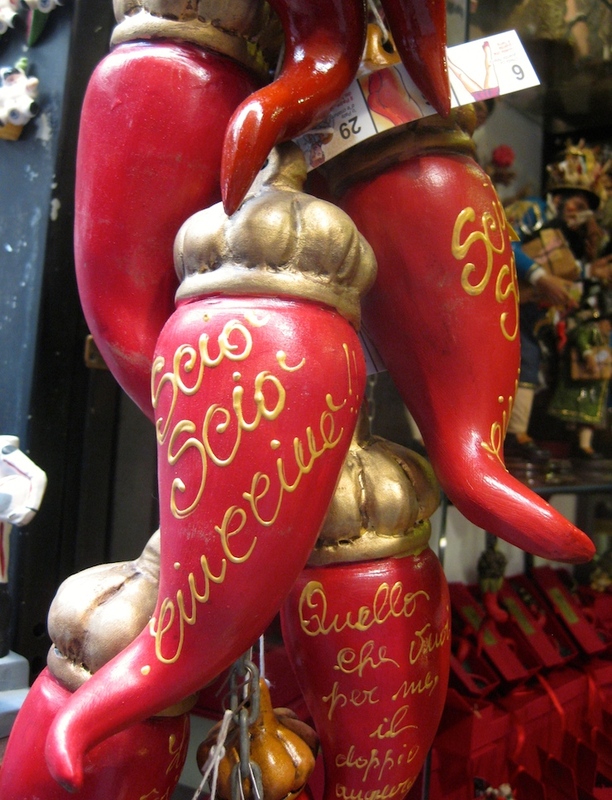 Via San Gregorio Armeno, also known as ‘Christmas alley’, is famous for the sculpted nativity scenes (i presepi) which its artisan workshops produce and which are popular across Italy and beyond. I was there on a sunny day in April on a fascinating Vespa tour of the Mediterranean city with archaeologist Emiliano Tufano. We walk along the narrow, cobblestoned street into Ferigno, one of the open workshops where craftsmen are making i pastori. Pastori literally means ‘shepherds’ but is the generic term used for all of the crib scene figures. I watch an artist sculpting a sheep carried by a shepherd. He’s using a dummy of a shepherd to ensure the sheep will fit across a shepherd’s shoulder. He tells me that it takes two hours to make a figure like a sheep and about twenty hours to make a larger figure such as a shepherd or king. Like all of the nativity scene figures here the sheep will be painted to look as realistic as possible. A Ferigno nativity scene costs from around 500 euros. One of the earliest examples of Christmas crib scenes dates from the thirteenth century and the tradition is thought to be much older although nobody’s sure exactly when it started. The Certosa di San Martino museum in Naples has a section devoted to the nativity scene. I didn’t make it there but would love to go back to Naples to see it. Family travel lowdown: Vesparound offers guided Vespa tours of Naples and the surrounding area. As I stepped out of my hotel I was feeling panicky. I was in Naples, the eldest was alone upstairs in our room, and I was setting off with an Italian man I’d never met for a tour of a city with a chaotic reputation. What’s more, the tour was by Vespa, and I still have the scars from the last time I was on one of those, twenty years ago. Frankly, I didn’t know what to worry about most. The tour had sounded like a great idea when I’d booked it. 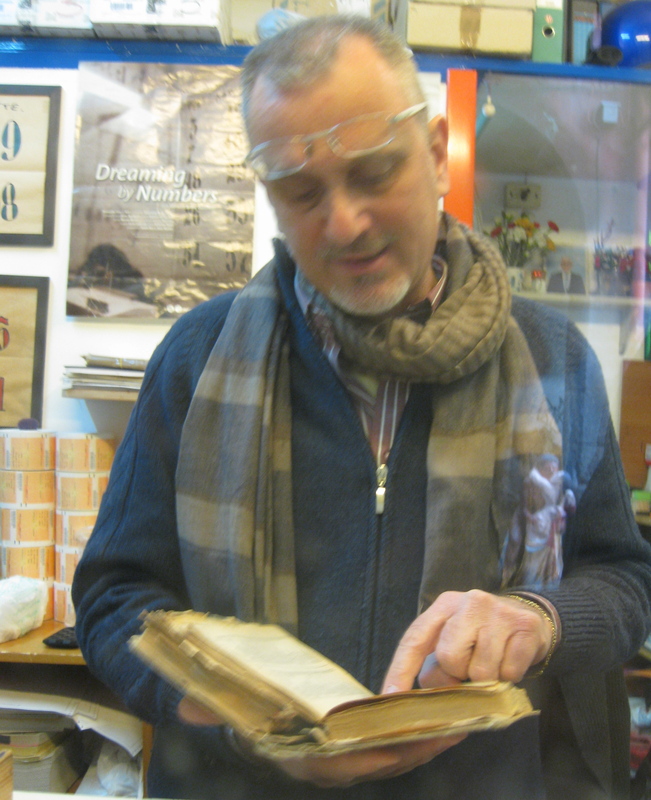 Emiliano Tufano is an archaeologist and tour guide and offers Vespa tours of the area. We had a free morning in Naples on an Adventure Company family trip and when I called Emiliano he said he’d be happy to show us around. He said he’d come with another guide and two Vespas so that the eldest and I could both go on the tour. But, the day before the Vespa tour the eldest decided she’d prefer not to come. Once she said this, I started to worry about going but I had a commission to write about the tour, which meant that I had to experience it. Against my instincts, I left the eldest at the hotel. What made me even more uneasy was that we were leaving the hotel to transfer to Sorrento that morning, which meant that she would have to get our luggage out of our room by herself. When I left her she was in bed, hadn’t had breakfast and her stuff was everywhere apart from in her suitcase. Our lovely tour guide had assured me he’d make sure she left the hotel with the rest of our group and our luggage to meet at a pizzeria for lunch. She was happy with the plan, so I had to ignore my protective mother-hen instincts and trust that everything would work out fine. Googling “Naples scooter” in a search for a local rental joint brings up a slew of hair-raising YouTube videos. Vintage Vespas squeeze between menacing orange buses. Animated drivers shake clenched fists in the air, as tiny two-wheelers swing past, leaving a jam of cars in their wake. 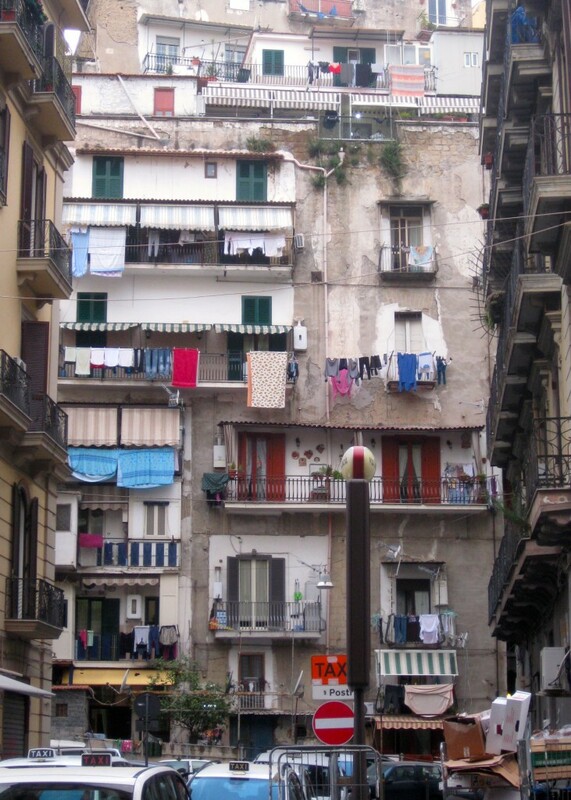 Edgy, daring, reckless: I find the idea of seeing Naples like a Neapolitan irresistible. 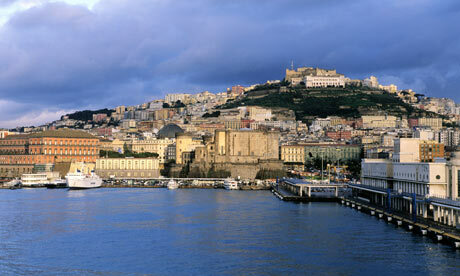 Locals claim the city is so enchanting that one can “Vedi Napoli e poi muori” – “See Naples and die”. I just hope that’s not meant literally. Snarling traffic and sunny skies make motorcycles the obvious vehicle of choice. When cars and buses stop at red lights, scooters fill the gaps. Before the green light flickers locals give each other a good stare. Riders flirt with drivers, and couples canoodle across seats, before the entire pack presses their foot to the floor. With a bag of local tips and €5 of petrol, anyone can join in this urban tour. As an Italian scooter virgin, whatever route I chose, my 12-hour jaunt around Naples’ winding streets would be a baptism of fire. Setting off through the upmarket district of Vomero, just north-west of the city centre, my clamped knuckles are tinged blue. But my fear quickly dissipates as I’m distracted by the view. What rushes before my eyes is a tapestry of Italy’s golden past. There are fin-de-siècle follies with stained glass windows, ritzy hotels from the Grand Tour era, and a rococo church on every block. Heading west, I corkscrew for a mile along the carefree coast road to Posillipo. This beachside suburb was recommended to me by Pippo, the cafe barista next to the scooter shop, as a taste of il vero Napoli – the “true Naples”. True enough, Posillipo has been in graceful decline since Roman times, with an additional sprinkle of Spanish palazzi and Moorish mansions courtesy of Bourbon rule. Even the graffiti that now covers many of these buildings is effortlessly romantic, “5/5/11 Giuliana amore, I will never forget this day”. Posillipo’s giant Parco Virgiliano – which sits above the ancient Roman Villa Pausilypon – is where the city’s youth hang out. With few open spaces in Naples’ city centre, a tidal wave of 50cc scooters descends here en masse each weekend. But Naples lives up to its lax-lawed reputation. It’s a city that lives by its wits rather than by the rules; more freewheeling than fashion-conscious. Nowhere is this tenet more visible than Spaccanapoli, the teeming street that slices the city’s age-old Centro Storico neighbourhood in two. The quarter seemingly hosts more people, motorbikes and religious icons than any other place on earth. Wearing a motorcycle helmet here is considered optional. Scootering through Naples’ historic centre is a kaleidoscopic blur. Market stalls sell fresh fish, skinned rabbits and live octopus, all for a €1 a piece. I see wheels of pecorino cheese as big as car tyres, plus giant salamis for a fiver and bread buns for just 5 cents each. The ice-cream vendor’s shop that I get sandwiched outside is an epicurean’s delight. Flavours include milk-free marronita (chestnut cream) and candied-fruit cassata. The cuisine isn’t all wholesome however. I catch one local munching through a mozzarella in carrozza (literally “mozzarella in a carriage”), gloopy cheese in a crispy fried crust. When done, he gazes into his motorcycle wing mirror and dabs the corners of his mouth with the greasy wrapper, which he then balls up and flings on the floor. For a (somewhat) healthier end to my day I duck into Pizzeria da Attilio (Via Pignasecca 17, +39 081 552 0479) at the end of Spaccanapoli. It’s been in business since 1946. Like the rest of the Centro Storico it has changed little in that time. A breathtakingly good pizza margherita with anchovies and a bottle of Peroni weighs in at €5.50. It’s the cheapest dinner I’ll eat in Europe this year.